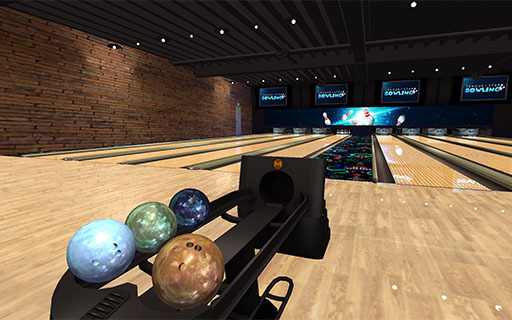 League Star Bowling is a ten pin bowling game designed for the Apple TV. Grab the Apple TV Remote and head to the bowling alley! Score strikes, spares, and turkeys. Take aim, add spin, and roll the ball just by rotating your arm. 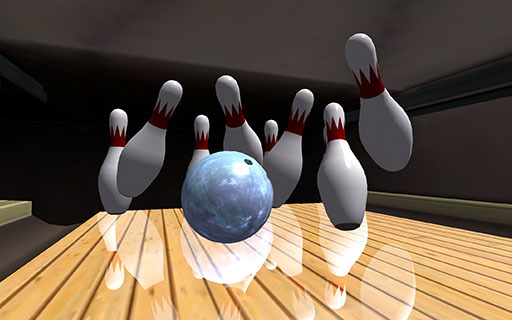 The Apple TV remote translates your movement into an accurate bowling simulation. Easy to learn. Difficult to master. Great fun for players of all ages! Motion control. Roll, spin, and aim the ball using the motion of your arm. Accurate physics and pin action. Real life lane dimensions, pin and ball weights. Designed for the Apple TV!